BlueSky Online School is this year’s Minnesota recipient of the 2018 Values Driven Award of Excellence. The prestigious award comes from AdvancED Midwest Region, the largest community of education professionals in the world, and goes to innovative educators in each region. As part of the honor, BlueSky has been invited to send one representative to the conference’s members-only awards dinner to receive the award. According to AdvancED, BlueSky was singled out for its consistent excellence in the field of education. BlueSky exemplifies AdvancED’s mission of leading and empowering the education community to ensure that all learners realize their full potential. AdvancED thinks beyond the traditional classroom, working to ensure everyone has access to top-quality education where they live. BlueSky will receive the award at the 2018 Midwest Conference, to be held at the Hyatt Regency in Schaumburg, Illinois October 30-31. BlueSky is an online school that provides Minnesota parents with alternatives to classroom learning. Minnesota students in grades 7-12 can attend BlueSky at no charge, graduating with a state-approved high school diploma once the appropriate number of credit hours has been achieved. Upon enrollment, students are assigned a team that includes a counselor, advisor, and social worker who ensure the student has all the resources necessary to graduate on time. Founded in 2000, BlueSky has become a valuable asset to Minnesota students who can’t attend traditional school. They can take classes on their own time, completing courses at the pace that works best for them. But what captures the attention of organizations like AdvancED is the school’s personalized approach to learning, where students are given access to one-on-one help whenever they need it. AdvancED sets high standards for the educational institutions it accredits, with a set of performance standards designed to keep the industry moving forward. Those include the commitment of the institution to setting expectations for both educators and learners, continually seeking improvement, and regularly evaluating the effectiveness of its curriculum and codes of conduct. The organization’s membership consists of more than 36,000 schools and school systems located around the world. Benefits include access to a continuous improvement system that helps them create a customized journey, professional development opportunities, and customized professional services. AdvancED’s Midwest Regional Conference brings educational leaders from schools around the region to Chicago for a two-day conference. Speakers include university professors, authors, and other longtime educators. This year’s conference pays tribute to Dr. Martin Luther King, Jr and his lasting legacy as generations of educators strive to meet his challenge to always improve as a nation. The organization’s goal is not just to ensure schools are good enough, but also to help them continue to improve. BlueSky will receive the award of excellence at a ceremony starting at 6 p.m. on Tuesday, October 30. The members-only awards dinner will honor those who have achieved excellence in the education field. In addition to meeting AdvancED’s strict accreditation standards, BlueSky has also received accreditation from the North Central Association Commission on Accreditation and School Improvement (NCA CASI). 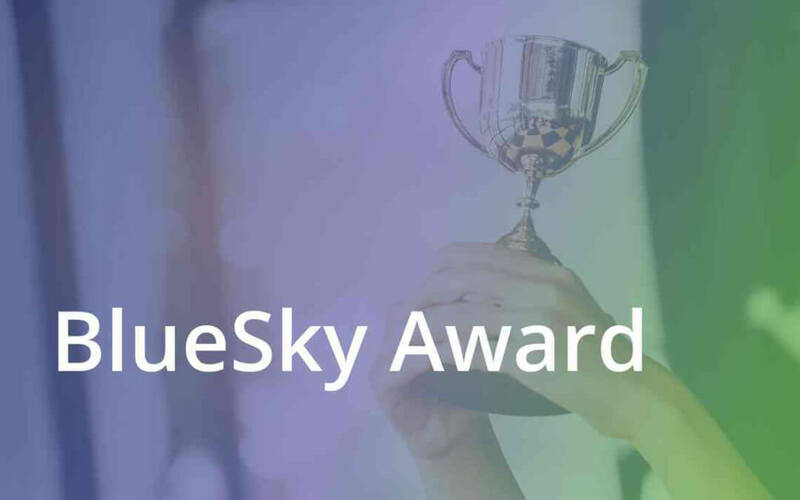 Both organizations renewed BlueSky’s accreditation in 2018 for another five years.